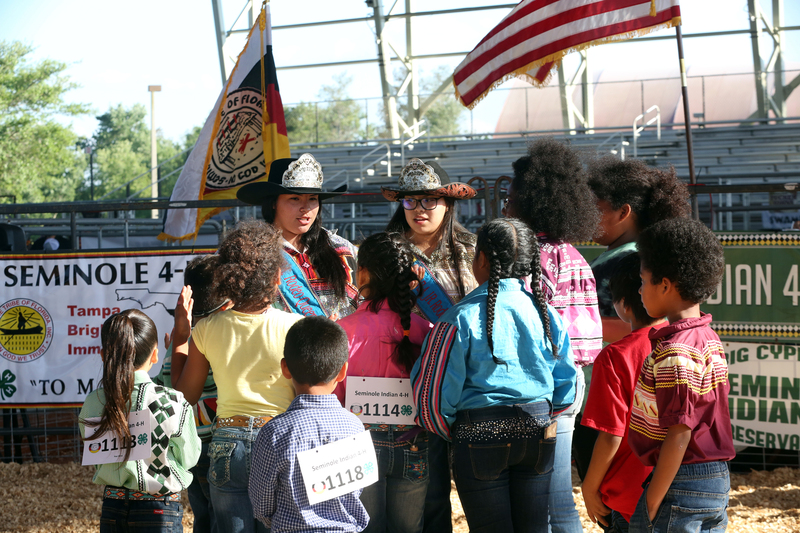 BIG CYPRESS — After months of hard work and perseverance, about 70 4-H youth realized the fruits of their labor at the Seminole Indian 4-H show and sale on March 21-22 at the Junior Cypress Rodeo Arena in Big Cypress. The kids, who received their calves last summer and their pigs last fall, learned to care for and raise them into show-worthy animals. The animals had to be fed, washed and walked daily. The heifers and steer had to be trained to walk on a lead and the hogs to respond to commands of the driving tool. A driving tool can be anything long and straight such as crops, canes or whips, which guides the hog around the ring. The 4-H program also teaches kids the business of raising and selling livestock and requires them to keep a record book to log expenses. The 4-H’ers kept track of every penny spent on food, supplies and veterinarian costs. Like any other livestock producer, when the animals were sold the youth pocketed the profits. During the show, the 4-H’ers vied for the top spot in their categories as family and friends cheered them on from the stands. For some kids, participating in 4-H is all about learning how to care for animals. For others, it’s about facing their fear of animals. 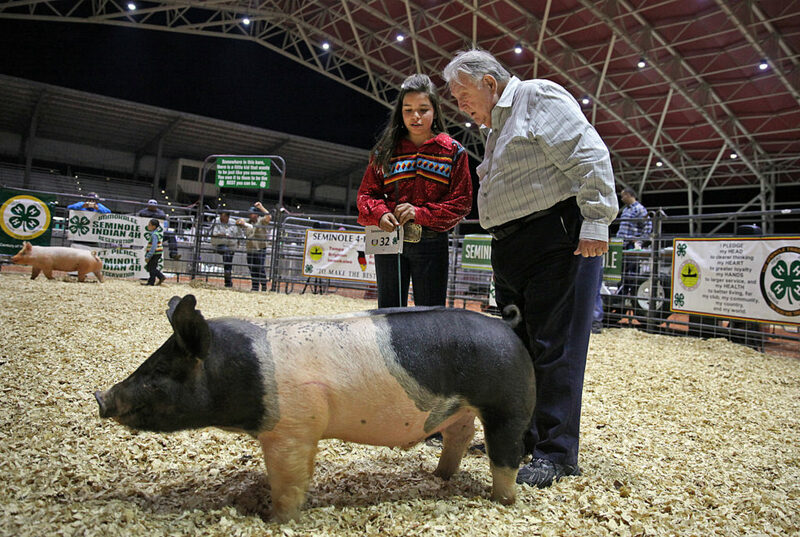 Ina Robbins did just that this year as she raised a hog named Fat Patricia and showed it the ring. 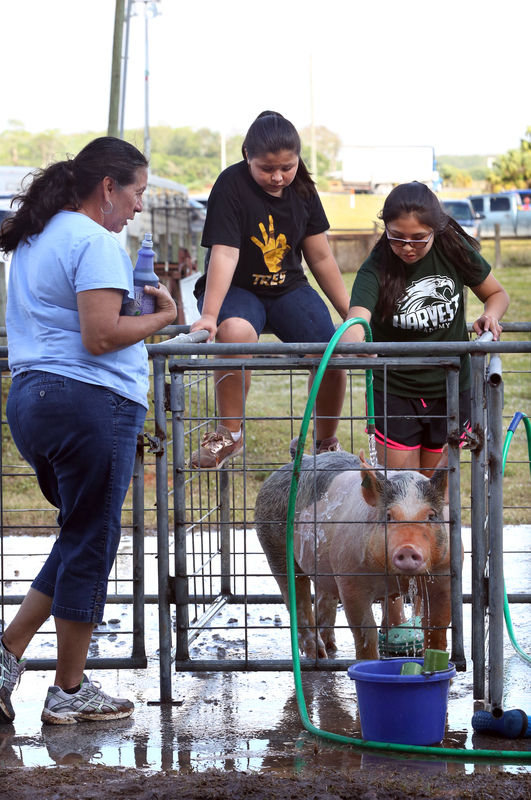 “I’ve been scared of it because it runs right toward me,” said Ina, 11, as she and her sister Illiana Robbins washed the hog together while their grandmother Jeannette Cypress watched. Before the show, the 4-H’ers washed and groomed their animals so they would look their best for the judges. Making a good impression on the judges was an important aspect of the show, since the kids also competed for showmanship awards. Alyke Baker, 17, has raised animals for six years. 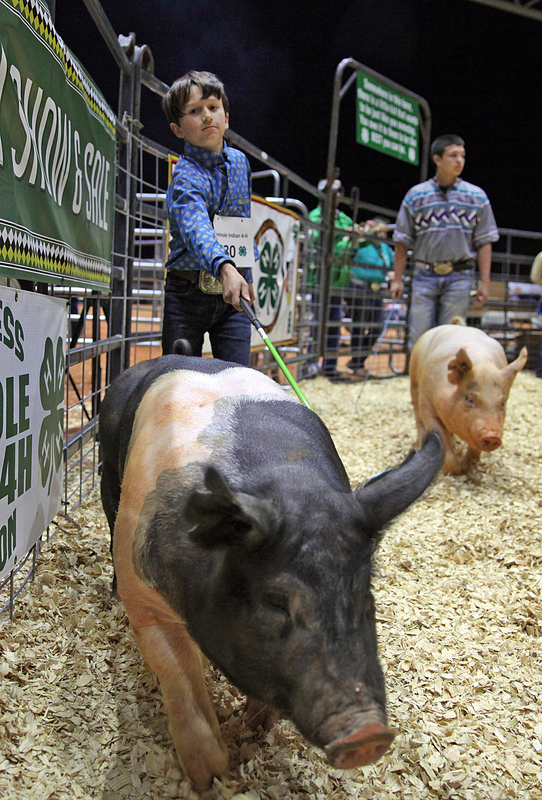 As a graduating senior, he groomed his final hog, named Porkahauntis, before the show. Heifers were the first group in the show ring. The heifer program is a three year commitment in which the youth raise and breed a heifer to start a herd of their own. The first year, they show a yearling heifer, the second year a bred heifer and the third year a cow-calf pair. At the ripe young age of 10, Timothy Urbina is another 4-H veteran. He started in the small animal group and has raised hogs for three years, but this is his first experience with a heifer. His diligence paid off; Timothy earned the intermediate showmanship award in the heifer category. 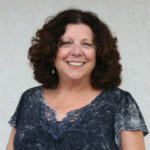 Both judges for the show were nationally renowned with many years of experience behind them. Heifer and steer judge Cary Crow told Stam this was one of the best shows he’s ever seen and was impressed with the Tribe’s cattle program. Swine judge Mick Culp was also impressed with what he saw. In the show ring, Crow examined each heifer and steer and spoke to each 4-H’er. He gave a detailed analysis of each animal before naming the first, second and third place in each class. For Jacee Jumper’s first place yearling heifer, he praised the animal and gave some sage advice. 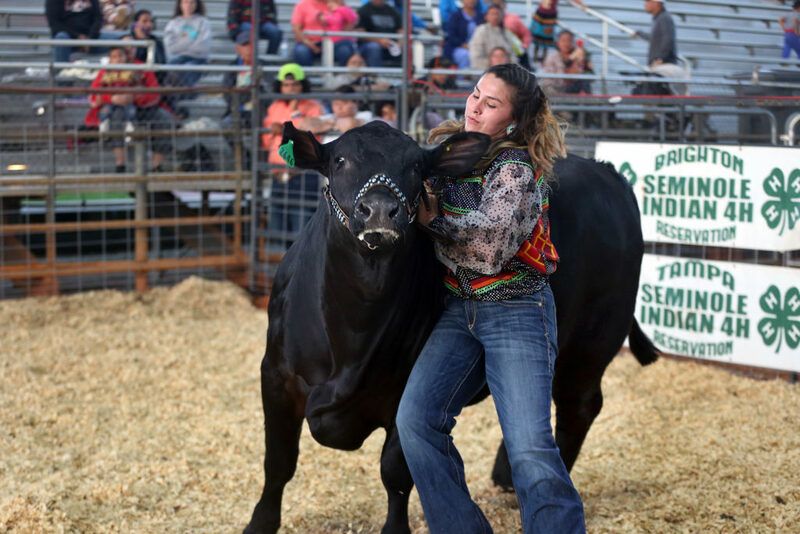 During the steer judging, Ila Trueblood took first place in her category and Crow summed up the winning steer aptly. “That calf’s got a lot of beef in him; he looks like he’d be good to eat,” he said. Khoal Cochran, who weighs 52 pounds, showed his first heifer, who weighed in at 1,147 pounds. It may have looked like 9-year-old Khoal was being dragged around the ring, but he finally got “Strawberry” to calm down and walk where he wanted her. His effort paid off; Khoal earned the Junior Showmanship award along with the Reserve Grand Champion honor. The end of the show meant the animals were ready to be taken to market. In this case the market came to the animals, the sale was also held in the rodeo arena the following night. Lane Andrews, 10, raised his first steer this year. Such is the business of livestock and these resilient 4H’ers have gotten a first-hand lesson.